In our household we have our Animal Dyson upright cleaner, which is great for a full spring clean of the house, but having a toddler means that I sometimes need to get the vacuum out on multiple occasions throughout the day, and sometimes the thought of getting the vacuum out one more time in any one given day can be a bit daunting. 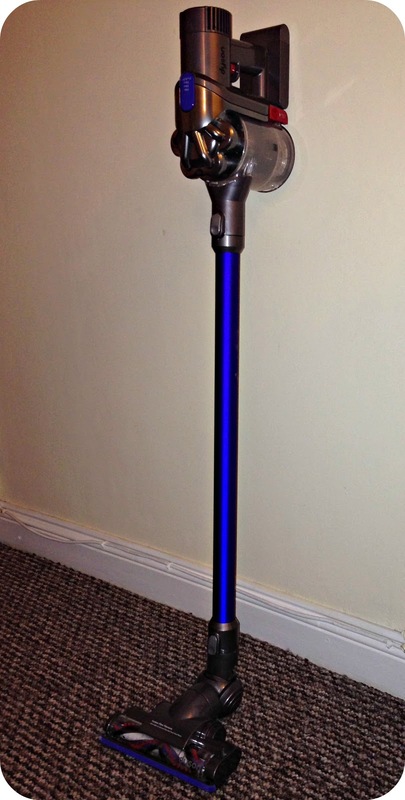 Dyson sent us their Digital Slim Cordless Vacuum, the DC44 Animal to put to the test in our toddler house of mayhem. At first I wondered what I would do with two vacuum cleaners, because surely one would be sufficient? Surely I would be able to just whip out our DC41 Animal for all problems? Well yes, I could do that but the DC44 gives me the chance to clean up the mess quickly and efficiently, and it is no pain there after to get it out again and again whenever I need to throughout the day. The DC44 is completely cordless and runs on battery power. To charge it you plug into the wall plug with the included docking station and the next time you need it, it is fully charged and ready to go again. What I love about this compact vacuum is that it is still so powerful and gets through Leo’s messy antics without even breaking a sweat. We are planning on mounting the docking station on the wall in the near future, just so that we can put it on charge when we have finished with it, we have been using it a number of weeks sporadically and have only just had to charge it again. Although it only gives you 20 minutes of use from the word go, you don’t tend to use it for 20 minutes at any one given time, so you actually get more out of it than you would think before you need to charge it. 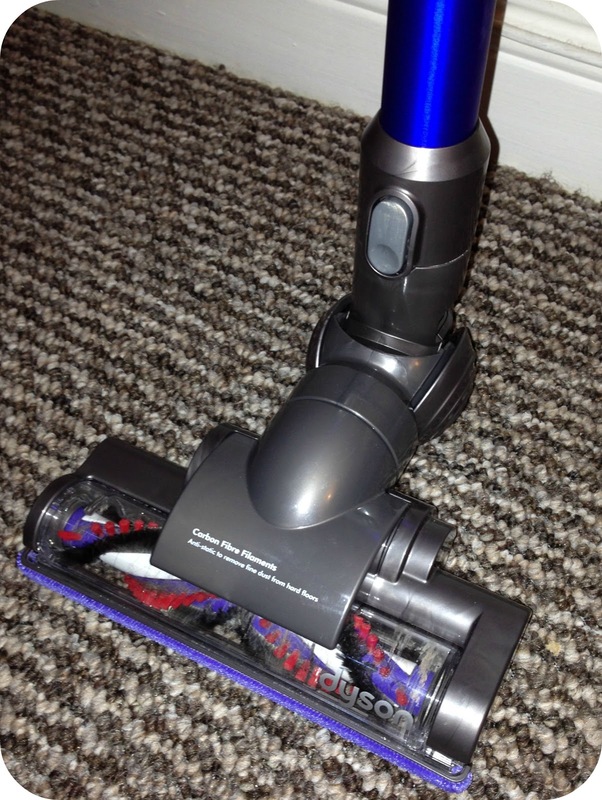 Dyson have designed it so that you get 20 minutes of standard run time or 8 minutes on boost mode which provides you with a more powerful suction. Even when the battery is running low you never experience a drop in the suction, it stays consistent and as powerful as it was at full power. 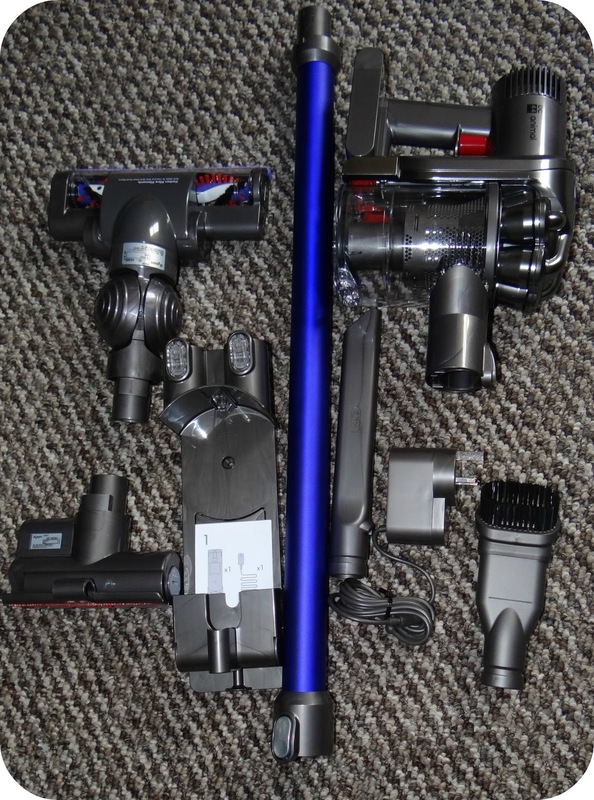 There are a number of aspects that set this Dyson apart from other cordless vacuum cleaners and one of those aspects is the intelligent digital motor that is smaller, lighter and faster than the conventional electric motors featured on other cordless vacuums. The DC44 motor spins up to three times faster which makes the Animal the most powerful cordless vacuum cleaner. 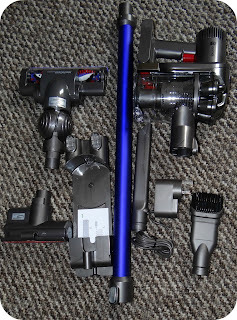 As with all Dyson’s the Cordless Animal does not have a vacuum bag, which makes life so much easier without the added hassle of having to change them. With both of my Dyson’s all I have to do is empty the contents from the vacuum into the bin before carrying on with my mission to a cleaner home. I am really impressed that the DC44 features the famous Dyson ball technology making it easy to follow Leo’s trail of crumbs to the main source of mess. I can weave the bounding steps of my 17 month old from left to right with no problem at all. The motorised head has two types of bristles that has been engineered for cleaning different types of floor surfaces. There are ultra-fine anti-static carbon filaments that remove fine dust from hard floors and stiff nylon bristles that remove ground in dirt from carpets. We have taken to using the DC44 on our laminate kitchen flooring, and it gets up absolutely everything in its path leaving us with a mess free floor. 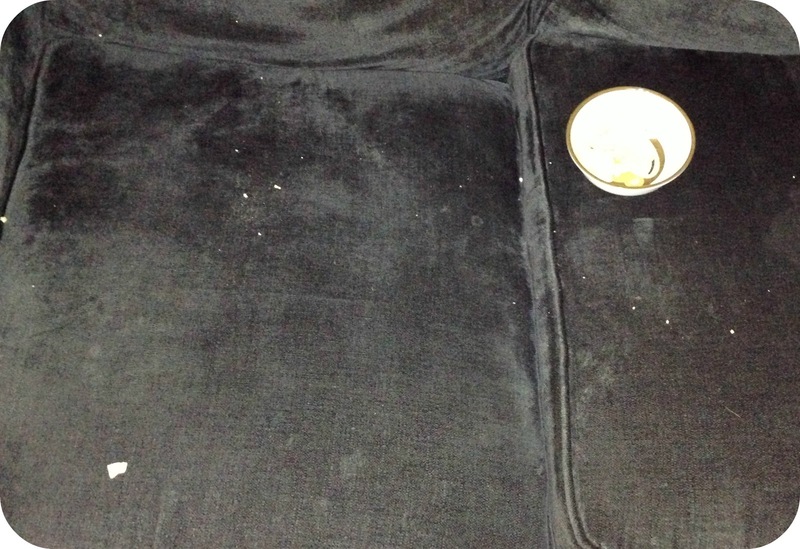 We use it on our living room and dining room carpet when Leo decides to crush his snack into the floor after he’s finished eating it, or even when he is sat on the sofa with the snack I didn’t even know he had stolen…Only to find that he has fed more to the sofa than he has to his mouth. The DC44 animal comes with 5 attachment heads that you can change over for a deeper clean; the mini motorised tool provides increased power for tough tasks such as removing pet hair. It is great in confined spaces and I find that it gets into the corners of the kitchen perfectly, getting all those little bits and pieces that may otherwise be missed. My Dyson Animal duo are fantastic, they get my house back from the very brink of crud and restore the balance between cleanliness and grime. I couldn’t get my head around having two vacuum cleaners in the beginning, but now I see they both provide me with a valuable service and having the cordless Dyson really does give me the freedom to follow Leo to the smallest corner of our living room to get to wherever the dirt may be hiding. It is absolutely fantastic for vacuuming up and down the stairs, taking away any issue of carting the bigger vacuum up and down. This cordless Dyson is fantastic and gives you identical service to your big upright vacuum without the hassle of plugging it in. Dyson always provide product guarantees for their products, the DC44 is no exception to this rule and comes with a 2 year guarantee, just in case you do encounter any un-expected problems. The Dyson DC44 Animal retails at £279.99 at the pricier end of the vacuum market, but if you take into consideration that this vacuum does everything is says on the tin, the 2 year guarantee and just how convenient it reallty is, you can soon justify it to yourself. In a home the size of mine I think I would be very happy simply using this as my main vacuum cleaner, and I am sure I could get around the entire house before the Dyson ran out of battery. That will be my next challenge. 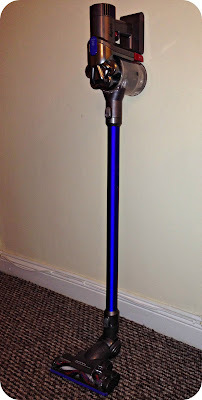 Disclaimer: I was sent the Dyson DC44 for the purpose of this review, however all views and opinions expressed are completely honest and my own. I am so jealous you got to review one of these!! I would love a Dyson! That thing looks like a beast, does it strain your arm when you do the walls? A little bit expensive but I guess you get what you pay for. 20 minutes should be plenty of time to clean up a small house or apartment, so that really doesn't seem to bad. The wall mounted charger sounds nice for keeping the vacuum handy but without taking up closet space. This vacuum looks so cute, moreover, I think I'll need it for my car. Thanks for such a nice review. What a cute vacuum. I need it for everywhere in my new house. Thank you for your review. God, this vacuum looks adorable. I will buy it to teach my kids how to clean the house. Thanks for your review. It is great if there is a canister vacuum in the house.